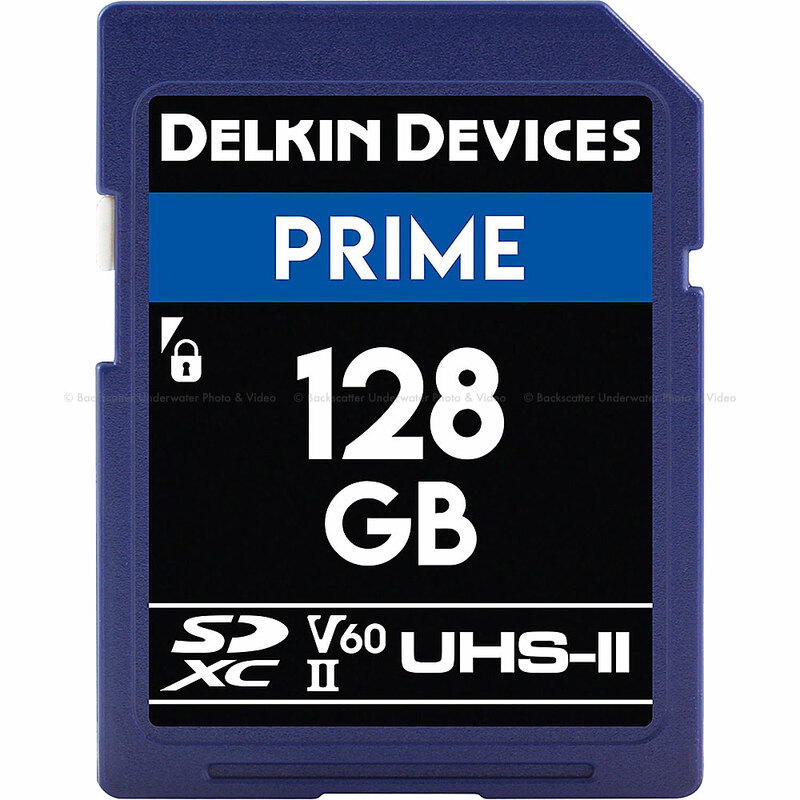 Designed for photographers and videographers, the 128GB Prime UHS-II SDXC Memory Card from Delkin Devices features a storage capacity of 128GB and takes advantage of the UHS-II bus to support maximum read speeds of 300 MB/s and maximum write speeds of 100 MB/s. This card has also been designed with the V60 Video Speed Class rating, which guarantees minimum write speeds of at least 60 MB/s, allowing the card to be optimized for cinema-quality 8K, 4K, and Full HD 1080p video capture, as well as raw photos and rapid-fire bursts in DSLRs and camcorders. It also supports advanced modes that require the simultaneous capture and storage of multiple files, such as raw + JPEG captures, multiple video streams created by 360° cameras, and video, still, GPS data, and time-lapse. Built for extreme conditions, Delkin's 128GB Prime UHS-II SDXC Memory Card is protected against water, shock, and x-rays, and also features built-in error correction and wear leveling. A built-in write protect switch helps to safeguard your content from being erased. Included is a protective storage case.